Hands down, the biggest obstacle in my life sits right between my ears. The discouraging inner monologue and negative spiral my mind can go down at times is incredible (in a bad way, to be clear). Oftentimes, I dwell on the things I haven’t accomplished yet. I let mom guilt overwhelm me as I attempt to be present for my child but fret over a lack of productivity for my career. I feel it creep up again when I frantically play catch up on work during my son’s naps and days at school, not wanting the solitude and “me time” to end, yet simultaneously glancing at the clock every hour wondering when I can pick him up and snuggle him close again. Gosh, I need him just as much as he needs me. I know I’m not alone in being hard on myself because I’ve heard my clients and friends open up in similar ways; pouring out frustrations that are born primarily from internal strife. A lot of people who come to me for personal training frequently fall into discouraging self-talk. At first, they don’t admit it. But as our relationship and trust grow, they share their insecurities and reveal the ways they get trapped in their minds while pursuing things like exercise and professional goals. The fact that these people are accomplished CEOs, lawyers, celebrities and government officials shows me that this propensity to feel insecure is a common human experience. But just because something is common doesn’t mean it should be normal. I like to think that we DESERVE to feel empowered to overcome obstacles and negative thinking. It can be scary to tackle our goals with confidence. It’s easiest to talk ourselves into all the reasons why things WON’T work out the way we dream. I’ve been there. I have recently shifted from the manuscript-writing phase of a book to the pursuing-publishing phase. The two couldn’t be more different. While I savor the feeling of sitting at my desk and writing for hours, I don’t necessarily feel exalted at the prospects of getting turned down by potentially a LOT of literary agents. Time will tell…I’ve only just started. EEeekk! If I allowed discouraging thoughts to run my decisions then I would freeze before ever moving forward. How do we conquer such deflating feelings? How do we ensure we’re in charge of our own minds, in a positive way? Women seem especially prone to comparing themselves against one another. I’ve done it, too. It’s such an awful trap to fall into. Unfortunately, there’s no way we can “win” doing this. When we compare our lows to other people’s highs (a.k.a. the world of social media) we feel that we are perpetually failing. We badger ourselves over our perceived inability to be as successful as the woman we know who is dominating her executive position at a fast-growing company. We feel deflated when we have children that are a mess (and who are showing us who’s the real boss) when we see images of moms with a whole brood of little ones who are pristine, groomed and on good behavior. We feel silly for being proud of ourselves for lacing up our sneakers on a Saturday morning for a brisk walk when we are confronted by women boasting photos of their sculpted bodies after hours of hitting the weights. I’m already feeling a little depressed after writing that last paragraph. Yuck! The thing is, we have to stop with comparisons. We have to hold ourselves back from them because they get us nowhere. A pastor I know said “Just play your own position. Know your own role.” In other words, know your “lane” in life and own it. Be proud of what YOU bring to the table and remember that you can’t be or do everything at once. The world is blessed with people of diverse talents for a reason; it’s how we keep the whole thing moving. One of the most helpful things we can do for ourselves is to openly acknowledge negative thought patterns. These are repetitive and unproductive thoughts that leave us stressed and/or depleted. They don’t serve any purpose, yet they can fill our minds and bodies with disease. If we start to recognize these negative thought patterns then we can choose how we react to them. For example, one of my clients used to say “I’m sorry” any time I corrected her form during a workout. There was no need for her to apologize – my entire job was to help guide her towards better success and health! Yet every time “I’m sorry” escaped from her lips without her thinking. We talked it out over time and finally managed to keep her from going down a negative path in her mind. Instead of allowing thoughts of failure and inferiority to dominate any time she received constructive feedback, she took it in stride. She kept her head high and didn’t divert her gaze with a defeated sigh. It was a huge win for us in our training relationship. Thereafter, both her body language and communication exuded better confidence. A good place to start improving your mental process is writing down your most obvious and common negative thoughts. Next, list out several positive reactions or thoughts you can counter them with. The reason this is important is because negative thoughts are like quicksand; the more we struggle in them, the faster we sink. We need something hopeful to turn to. Another way we need to get out of our heads is by getting rid of discontent. In order to move forward in a healthy and happy life, we can’t focus incessantly on what we don’t have or what we want more of. This way of thinking causes people to feel that their lives aren’t good enough. You can see how this is a negative thing, right?!?! It seems painfully obvious that this kind of thinking leads up down a bad path, yet we do it anyway. ALL. THE. TIME. Often, we focus our energy on what we don’t have or what we crave to have without even thinking. To be questing after a status or promotion seems purposeful in life, maybe even positive and healthy! The challenge is where our mindset is rooted. If happiness hinges on your “not-there-yet,” “some-day-I-hope-to” aspirations, then there isn’t enough joy available in the present to fulfill you. Turn your focus to gratitude. What do you have right now that you’re grateful for? Who are you and why is that enough to sustain you here, today? As we shed negative thinking and pursue our goals with the right intentions, we can gain confidence in simple ways. Acting confident (even if you don’t feel it at first) and expressing yourself with upright posture will impress upon those around you that you’re a force to be reckoned with. It can also affect your brain chemistry. Tall, confident posture can stimulate the release of hormones that keep you feeling good. Hence, if you act confident then you just might become confident. Obstacles happen. They do. In my fitness career I’ve had many; one major accident that made my body feel like it belonged to a 90-year old, numerous setbacks with fitness startup companies, managers telling me to pick a niche focus in fitness even though my passions encompass a lot of areas (apparently that’s not very conducive to creating a “brand”), and more. In writing, I had a professional offer me feedback on my first manuscript that made me take pause for the next decade. A whole decade while I waited for that “aha” moment when I could revisit the book with fresh, mature eyes. We can look at obstacles as unfair or frustrating if we believe they shouldn’t happen, but obstacles are a part of life’s growing pains. We should anticipate them so that we can bounce back from the inevitable way they will trip us up. We don’t have to give them power to make us insecure. When you’re having trouble staying confident because of setbacks, try to find meaning in the tough times. This sounds full of cheese, I know. For example, getting hit by a car years ago helped me become a well-rounded fitness professional because I became more capable of addressing people’s old injuries and back pains. In the moment it wasn’t always evident that I was growing in a positive way from the pain, but in time it became crystal clear. In fact, over the course of my life I have grown and learned the most through hardships, not good times. Random Aside… This is similar to trees when you bring them home from the nursery. Removing them from a supported environment causes them stress. They might look weak and lean over after you plant them. But in response to the stress of having to support themselves, the roots shoot out and create a broad base. This allows the tree to slowly right itself and shoot up towards the sky. Similarly, we can thrive if we respond to stress by growing our roots deep, making it harder for the next big storm to tip us over in its wind. Procrastinators and perfectionists alike can benefit from taking broad, longer-term goals and breaking them down into simple, actionable steps. For example, if I’m training someone to run a marathon we can’t focus immediately on the long runs. We have to start with the short and intermediate runs to build up stamina and train the muscles for the stress to come. We can’t think for too long about the total mileage that will be logged over the course of the training program or we may never begin. It’s intimidating to go from running a couple times a week for fun to logging 30-50 miles per week! My runners simply need to trust that each run will have a cumulative effect as we head in the direction of the race. By taking a moment to calm our emotions, we can look at our feelings from a different perspective. For example, if someone else had a similar emotional reaction, what would it look like to you? What would advice would you give them? Mindfulness is a way of approaching our life, goals and relationships with better appreciation, service and enjoyment. Mindfulness allows us to better discern what’s worth our time and effort. As we make better, more confident and healthful decisions, we become productive in the ways that matter and fulfill our authentic selves. When our goals are aligned with what we truly care about, there’s no stopping us. This entry was posted in Happiness, Spirituality, Wellness and tagged comparisons, Confidence, emotional wellness, goals, Happiness, mindfulness, negative thinking, negative thought patterns, obstacles, self-doubt, STOP method, Wellness, women's health, women's wellness on October 23, 2017 by wellnesswinz. I’m pleased to introduce you to Sarah Pike, our contributor for today’s guest post! Sarah and I share a lot of the same passions – women’s health, writing, health technology, volunteering, and working with children. Please enjoy the wisdom she has to offer. 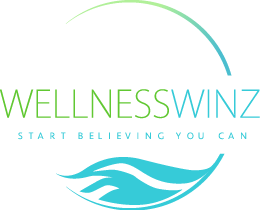 We’re SO happy to welcome her to WellnessWinz! 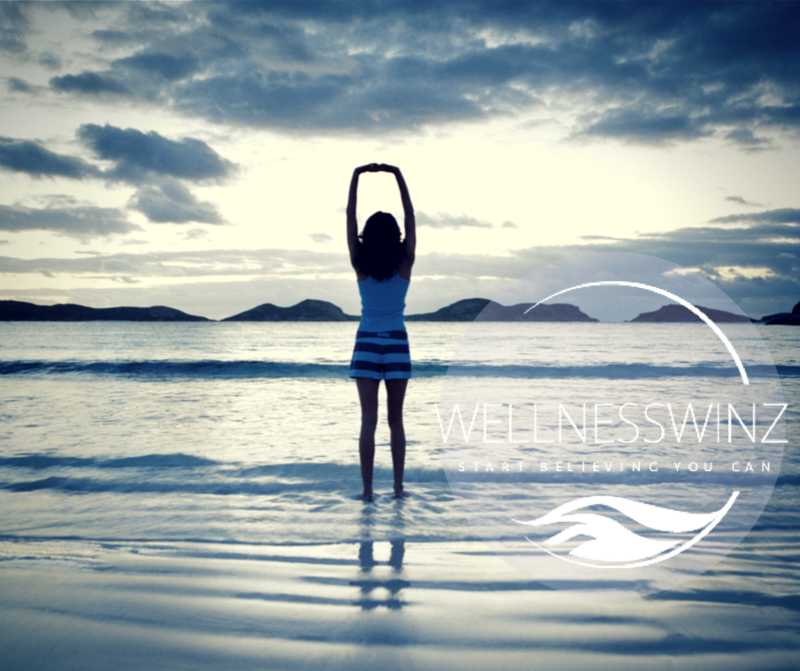 One thing you won’t find in a typical list of healthy “do’s,” is the use of mindfulness/meditation practices. Before you roll your eyes at another “out-there” quack extoling the virtues of meditation, know that I too was once one of those eye-rollers. It’s hard to understand the benefits of something as intangible and difficult to measure as mindfulness. But after hearing Oprah, Deepak Chopra, and Arianna Huffington preach about the difference it made in their lives, I started to pay attention. After all, if such successful people are advocates of this practice, then maybe there’s something to it. These days everyone from Katy Perry to Kobe Bryant sing the praises of meditation and mindfulness practices. But I wasn’t one to simply take a celebrity’s word for it. Neuroscientists have proven that there are real, positive effects to engaging in meditation. Beyond a sense of calm and general well-being, a group of neuroscientists from Harvard were able to measure improvement in learning, memory, emotion regulation, and sense of self. They found that regular mindfulness practices can actually change your brain and increase overall well-being and even improve quality of life. 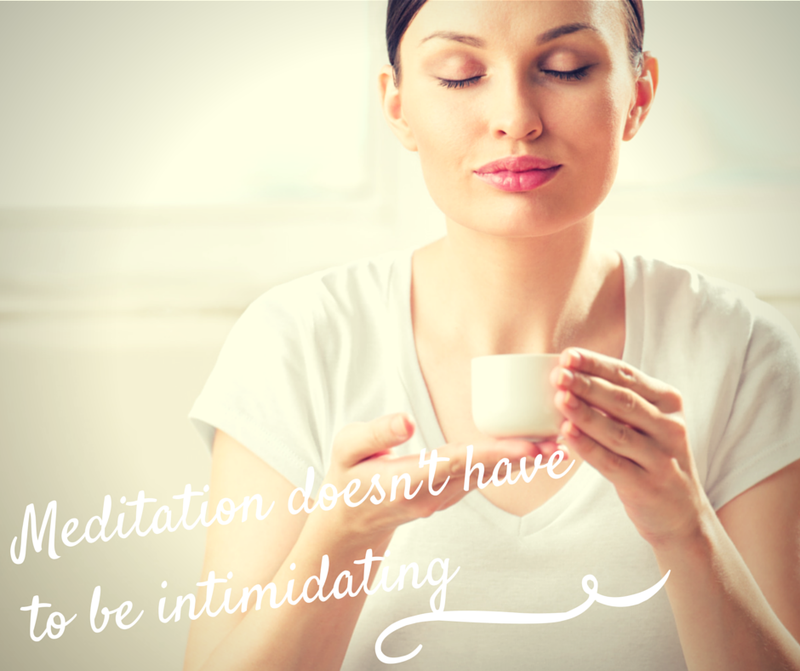 Testing the waters of meditation can be intimidating. I had images of sitting cross-legged for hours, chanting strange words while Eastern music played in the background. But mindfulness doesn’t require uncomfortable positions or unfamiliar words. The main goal is to practice focusing on one thing at a time. Usually the easiest way to start is to pay attention to your breath. You can follow Huffington’s advice and start with just a few minutes, and then work up to longer durations as it feels more comfortable. If your mind tends to race with non-stop thoughts, you can use that to your advantage in meditation as well. Instead of focusing on your breath, focus on your thoughts. When you catch your mind wandering, instead of getting caught up in each thought, simply let them go. Over time, this practice will help improve concentration and your ability to be present in the current moment. The good news is that you don’t have to jump into meditation all by yourself. If the thought of counting your breaths or figuring out how to let your random thoughts go is intimidating, try an app to help you get into a mindfulness routine. And, contrary to what you might think, using technology to help you meditate isn’t contradictory. In fact, it’s been found that there’s a correlation between connectivity and happiness. Here are my 10 favorite apps to help jump-start your meditative life and get you on the road to feeling more holistic, healthy, and happy. If you’re not quite ready to sit quietly and breathe, this app can help you get into the general mindset of meditation, which is increased awareness of how you’re feeling at any point in time. This app checks in with you throughout the day and asks you how you’re feeling. All you have to do is pause, consider, and answer with the appropriate emoji—a great way to get your mindfulness practice started. This is the perfect app for beginners. The whole idea is to teach you how to meditate with customized programs that help you identify how you’re feeling before you start. It also tracks your progress over time and helps you easily expand and extend your mindfulness practices as your comfort with the process grows. Another great resource for beginners, Centered helps you manage stress and increase mindfulness with daily reminders and meditation timers. It even syncs with Apple Health to help you track all of your healthful activities in one, convenient place. If you’re ready to expand your meditation practices, this app is a great tool. In order to bring mindfulness to all of your daily activities, the Lotus Bud Mindfulness Bell sends you reminders in the form of bell tones throughout the day. When you hear the bell, you are reminded to breathe, pause, and take in the current moment. For those whose meditation level is intermediate, Calm offers a variety of guided meditations lasting anywhere from two minutes to half an hour. If you have trouble falling or staying asleep, this app can also offer help to get you that restful night you’ve been craving. This app offers another great way to bring mindfulness into all of your daily practices. The goal is to help you live in the present moment. Using push notifications as cues, this app helps you remember to take in your environment, focus on what is currently happening, and look at people and situations with compassion and empathy. If you’re looking for a way to track the health of your mind, body, and spirit, this app might be your new best friend. Athlete Minder helps you keep track of your exercise habits and state of mind before, during, and after workouts. What you learn will let you make the right tweaks and changes to your routine to maximize the benefits. Exercise isn’t the only aspect of your health routine that can benefit from mindfulness. This tool helps you add focus and awareness to your eating habits. And, thanks to helpful reminders, you will be encouraged to slow down and truly savor each bite. For mindfulness pros, this app sends you random reminders to catch you off-guard and give you the chance to re-set your perspective throughout the day. Whether you need to knock their socks off in a presentation or be calm during a parent-teacher conference, this training app will help you fine-tune your mindfulness to make sure you’re at your best in every situation. This 21-day experience is designed for everyone. Whether you’re a beginner or have been meditating for years, this interactive program designed by Oprah and Deepak Chopra will quickly move you to a more tranquil state of mind. With so many easy-to-use resources at your fingertips, now is the time to add meditation to your daily health regimen. 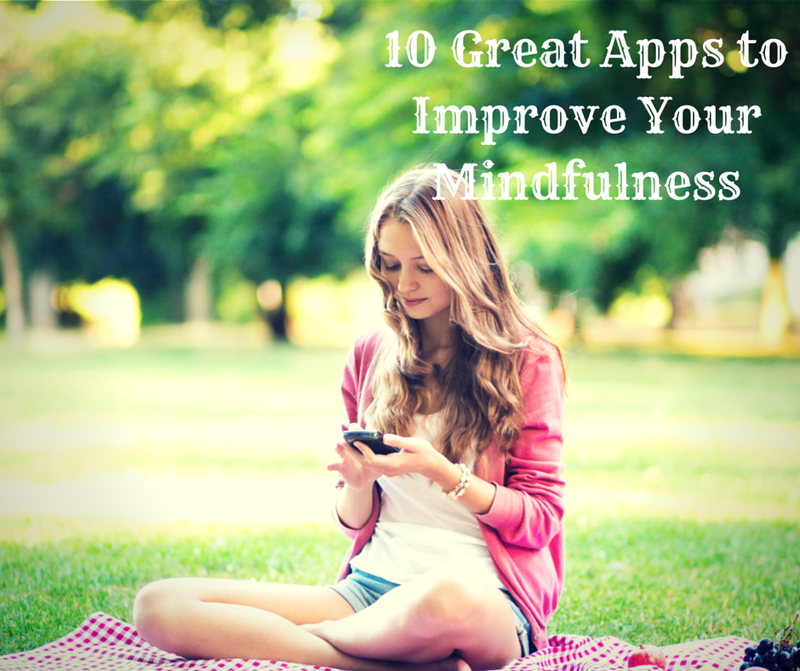 Give one of these apps a try and see the difference a few minutes of mindfulness can make! Sarah Pike is a Community Outreach Coordinator for BusinessBee and a college writing instructor. When she’s not teaching or writing, she’s probably binge-watching RomComs on Netflix or planning her next vacation. She also enjoys following far too many celebrities than she should on Instagram. You can find Sarah on Twitter at @sarahzpike. This entry was posted in Wellness and tagged apps, Ariana Huffington, Celebrity, connectivity, Deepok Chopra, healthy living, Katy Perry, Kobe Bryant, Lifestyle, meditation, Mind Body, mindfulness, Oprah, spiritual wellbeing, stress management, technology, top 10 apps for mindfulness, Wellness, women's health on April 13, 2015 by wellnesswinz.